The secret to our success is YOU!! Most people want someone who is an experienced professional, who can help guide you through the planning process, play a great mix of music, and keep everything running smoothly. 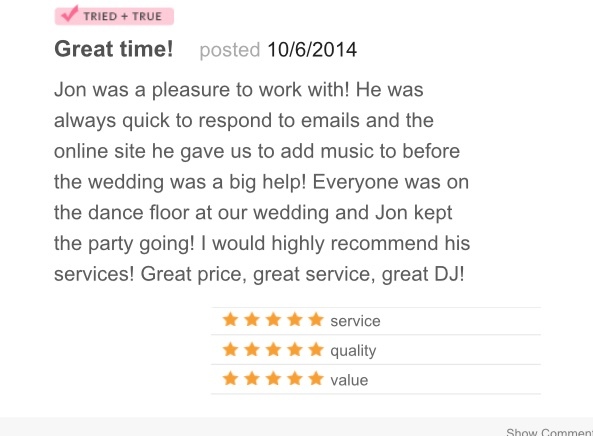 We want you to know that we offer the best DJ services in the Boston area. And you'll get our undivided attention. 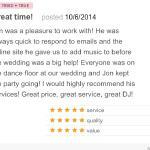 Weddings, Corporate Parties, School Dances & Private Parties!! Our customers are really important to us, because we couldn’t be in business without YOU!! You’re always welcome here. Come in and chat with us. We’re really looking forward to speaking with you! 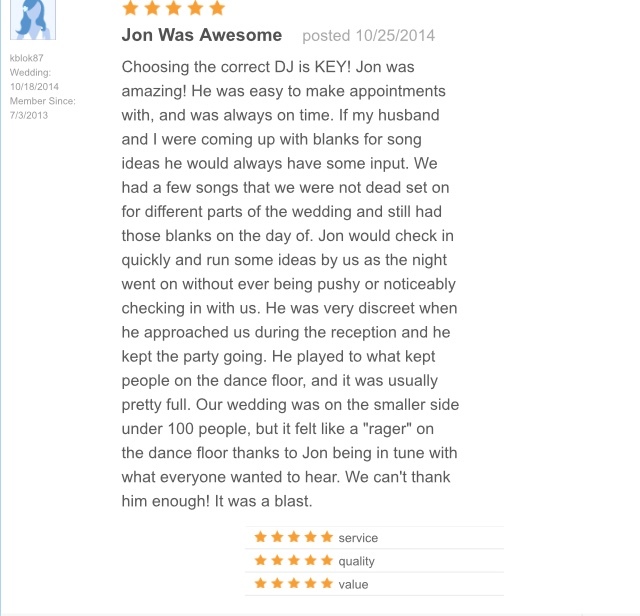 CLICK ON THE IMAGES BELOW TO SEE SOME OF MY REVIEWS ON THE KNOT!! 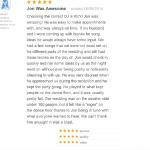 Click to see more Reviews! !